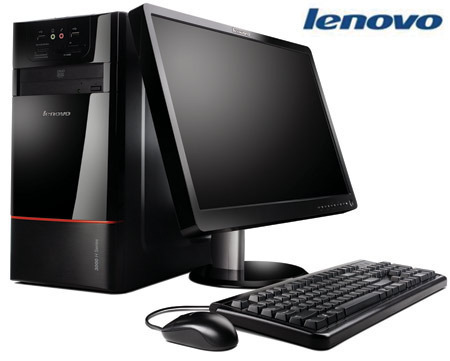 We are one of the dependable authorized suppliers of the Lenovo Desktop to our prestigious clients at industry leading price. These products are made from optimum quality material, which is in adherence to predefined industry norms and standards. Moreover, these offered products can be availed at economical pricing with time bound delivery. Jai Ambe Systems is a leading organization, which has garnered an enviable presence in industry just to meeting and surpassing the expectations of our clients. Our organization was founded in the year 2002 and is engaged in Trader, Supplier and Service Provider a comprehensive array of CCCTV Cameras, Video Door Phones, EPABX System, Desktop Computer, Intercom Systems, Biometric Attendance Access Controls, Networking Solutions, Repairing Services, CCTV Installation Services. Also, we are providing highly trustworthy and reliable Repairing Service and Installation Service.We procure the complete range from most trustworthy and certified vendors of the industry. Our vendors manufacture these products by utilizing finest quality material and advanced techniques in stringent adherence with numerous set norms. Besides, to impart unmatched quality services, our company has employed some skilled and specialized team of experts, who ensure serving to the never-ending desires of clients in a better possible manner.